In Sweden, people are abandoning the use of paper money for an increasing number of everyday transactions. In fact, the amount of hard cash in circulation has decreased by 40 percent in the last 7 years. Sweden is beginning to look at doing away with physical money in favor of a completely digital currency which may include a microchip under the skin. Commuters in Sweden are an example of trading cash for convenience as several hundred have already been chipped to be able to use the SJ Rail transit system. The train conductor can then simply read the chip with a smartphone to confirm the passenger has paid for their journey. Another 3,000 have been chipped so that they can have easy access to secure areas of buildings. Worldwide it is estimated that 20,000 people already have them, using the small devices to swipe in and out of the office, and even pay for food. Wisconsin company, Three Square Market received lots of press earlier this year when it announced it would provide optional chipping of it's employees. "It's the next thing that's inevitably going to happen, and we want to be a part of it," Three Square Market Chief Executive Officer Todd Westby said. So, according to Westby, microchipping employees is "the next thing that is inevitably going to happen." Three Square Market designs software for break rooms that are commonly seen in office places. In other words, the markets where you get your food and check out yourself. "We'll hit pay with a credit card, and it's asking to swipe my proximity payment now. I'll hold my hand up, just like my cell phone, and it'll pay for my product," Westby said. 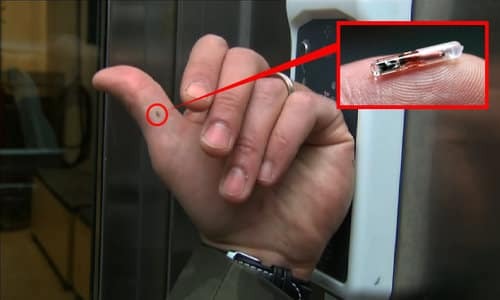 The tiny chip, which uses RFID technology or Radio-Frequency Identification, can be implanted between the thumb and forefinger "within seconds," according to a statement from Three Square Market. The report noted that the business is not requiring its employees to get the chip and that it's optional (note how chip implants for pets have gone from optional to mandatory in some locations). So far 50 people are believed to have opted in to take the plunge and get the microchip implanted. A NBC News report last year asserted the microchipping of children will happen "sooner rather than later" due to parental safety concerns and that Americans will eventually accept the process as something just as normal as the barcode. "It's not a matter of if it will happen, but when," electronics expert Stuart Lipoff told the network. But the technology raises security and privacy issues, as the data generated could be used to track people without their consent. "And the second beast required all people small and great, rich and poor, free and slave, to receive a mark on their right hand or on their forehead, so that no one could buy or sell unless he had the mark -- the name of the beast or the number of its name. Here is a call for wisdom: Let the one who has insight calculate the number of the beast, for it is the number of a man, and that number is six hundred sixty-six". 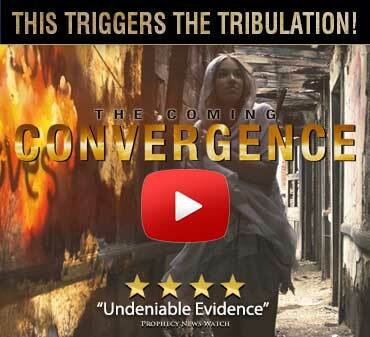 Christians have long debated about the meaning of the "mark of the beast" however our generation appears to be the first that now has the technology to fulfill this prophecy.